Real madrid are set to take on struggling Athletic Bilbao side in the Spanish La Liga game this Saturday, 02 December 2017 at the San Memes stadium. By the time Real Madrid set foot on the pitch they might find themselves 11 points behind Barcelona who player earlier at home against Celta Vigo. This makes it a massive game for Real Madrid who must win to keep themselves in the title race where Barcelona are already getting out of sight. Bilbao on the other hand might find themselves in the bottom three if they lose making it a cracking game of football. The match starts at around 20:45 CET / 19:45 uk time and we will have live links closer to the kickoff. 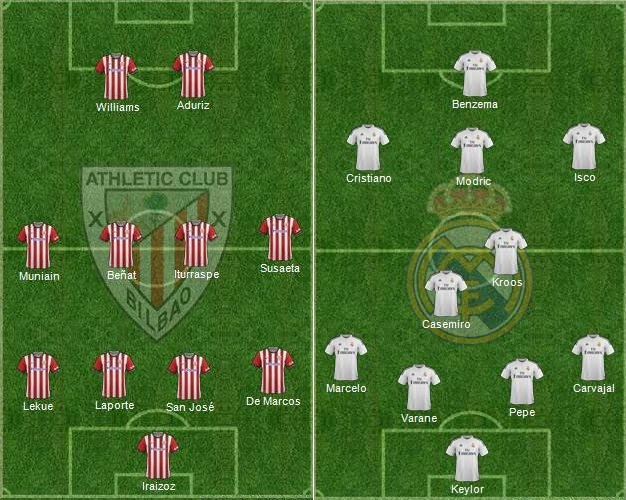 Real Madrid vs Athletic Bilbao Preview: Real Madrid has been absolute superb at home winning 10 of the 12 home matches and scoring 45 goals while Athletic Bilbao kind of struggle away from home as they have only won 4 of their 12 away games which kind of makes Real Madrid hot favourites to win on Saturday. Last time these two meet was back in March 2017 when Real madrid ran out comfortable 2-1 winners thanks to goals from Benzema and Isco. Another three points are needed for Madrid to keep them in the title race. 25′ 0 – 1 Karim Benzema scored in 25th minute to put very dominant Real Madrid side 1-0 up and more importantly gave them a slender advantage in La Liga title race. 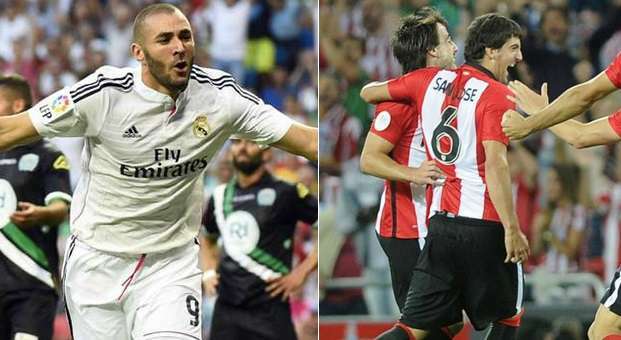 65′ 1 – 1 Aritz Aduriz cancels out Benzema’s first half strike midway through the second half. 68′ 1 – 2 Casemiro immediatley put Real Madrid back in the lead with a close range tap in. As far as the team news is conerned Real madrid will still be without Gareth Bale who continue his recovery but apart from that Zidane’s done have any major/fresh injury worries. He might have a little headech of deciding whether to play Isco and Rodriguez in the starting lineup or go with one of them and put another midfielder alongside Kroos and Modric. This is how I expect both teams to lineup on Saturday.